From the title itself, blood shall indeed be spilled and be enormously spent in the latest addition to the Souls game series, Bloodborne. 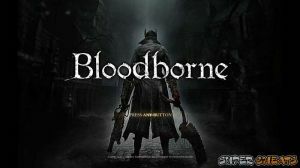 Developed by From Software and published by Sony Computer Entertainment, Bloodborne is an Action RPG that will be exclusively released on the PS4 globally on March 24, 2015. Though the game is similar to the Souls series, Bloodborne, according to its director Hidetaka Miyazaki announced that the game is said to be a completely different game and title from the famous Dark Souls—with the promise of providing players a truly gripping and horrifying experience that gamers will actually enjoy. Plagued with a mysterious disease, the hunter (the main character in the game), travels to the ancient and “forgotten” city of Yharnam where old medical remedies to any illness is said to be available. Upon reaching Yharnam, however, the Hunter is greeted by hordes of monsters and appalling creatures, all who have said to be townspeople who have fallen ill to a similar disease. The story revolves around the mission of finding a cure for himself and salvage whatever is left of the city of Yharnam. Inspired by the Victorian Gothic novel Dracula, Miyazaki had dreams of creating a game set in the same time that will also feature the period in all its glory. Given that attention to high-end detail and gameplay is a must, releasing it on the PS4 to showcase graphic superiority was the only way to go for Miyazaki and the developers. Miyazaki matched the high level of display and animation (with a target of 30 frames per second) in Bloodborne with a more aggressive combat system that will also be centered on action and strategy—as shown by the dual-wielding action in the game’s various trailers. This is Supercheat’s unofficial guide to Bloodborne. As this is a progressing guide, additional information will be added so it would be best to subscribe for notifications. Feel free to use the buttons on the right-hand side of this page for easy navigation throughout the guide.